The following shots were captured for KOR Hire, a company that I have previously photographed for several times over the last few years. The basic premise is very simple, and at the same time highly effective and efficient. 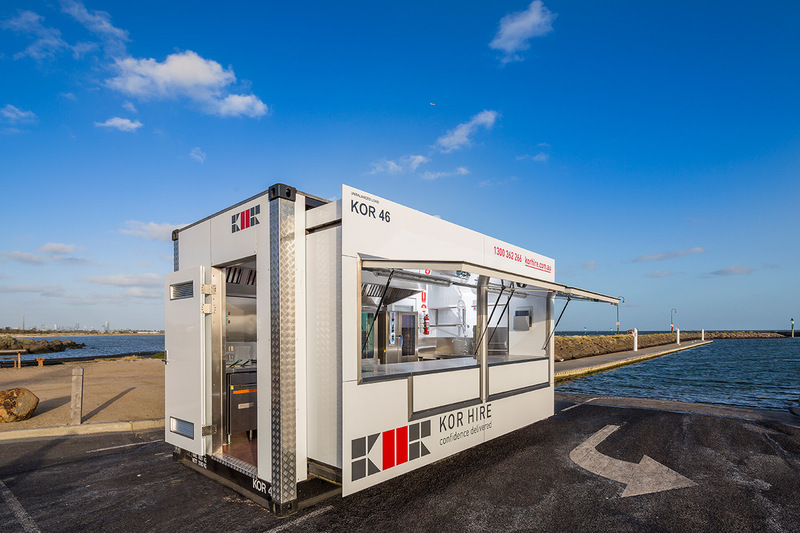 The mobile kitchens have been designed and built around a standard shipping container. This of course makes them highly portable while obviating the need for certain special licences when transporting between locations. My brief for this shoot was to capture the kitchen with the new livery and in a location that demonstrated the versatility of the kitchen. Previously we had photographed in a Heathcote vineyard, and in Collins Street in Melbourne. 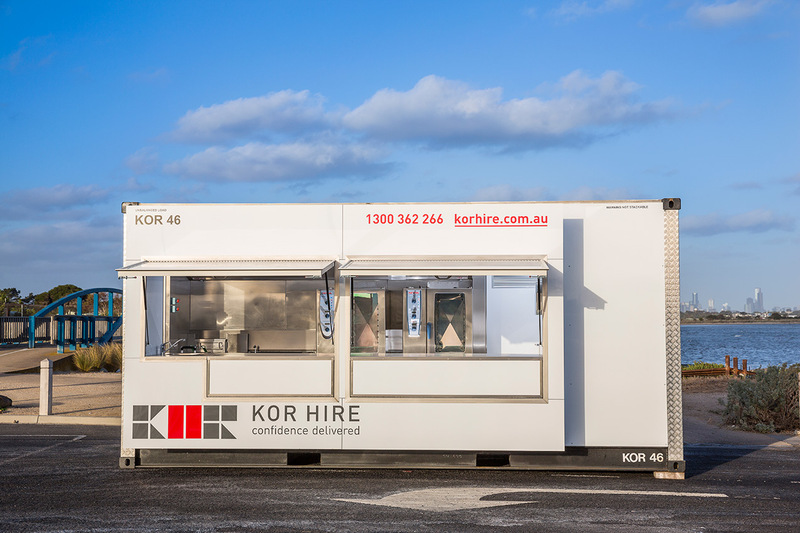 On this occasion KOR were looking for a sea view that also incorporated the city skyline; however we were keen not to make it extremely obvious that it was Melbourne in the background, as these units are put to work in every State. We began with the daytime images of the kitchen, which was delivered without power for the shoot; naturally I wanted to see inside the unit in the images, and so positioned my flash units accordingly. We then waited for some magic light at dusk, however despite the predicted dramatic sunset it unfortunately simply became cloudy and overcast. As always, a lot of fun to set up and shoot!